I don't know how many of you are familiar with the brand Splendid, but from time to time I see it crop up at the discount stores I shop at. A few things I do know about Splendid is that they make most of their cotton tees in the USA and they tend to be a little pricey. When I saw this sweater from Splendid on the clearance rack at Nordstrom's Rack for $24.95 compared to $125 I knew it was coming home with me. When I got to the register the sales associate told me that it was unfortunate that I didn't buy the sweater the day before because it would have been an extra 30% off. I sort of wish she didn't tell me this info because ignorance is bliss (was I suppose to go back in time and buy it? ), but such is life. Have you ever seen the receipts at Nordstrom's Rack that tell you what you've saved and then declare that you are a "shopping genius"? Well, I guess not this time. It was still a good price, though, and I think I'll get a lot of use out of it. So despite missing out on the additional sale, it was still a splendid purchase! Thanks Ada! 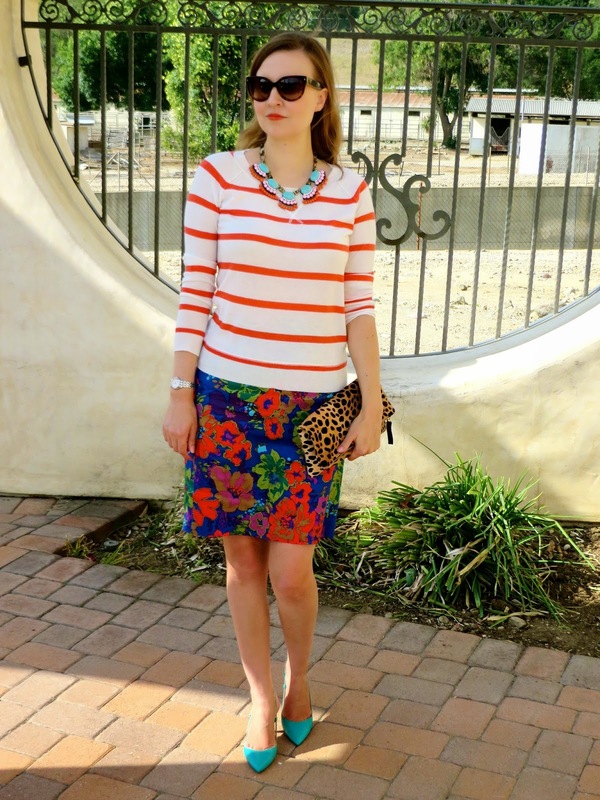 I love florals and stripes together too! It's a perfect combo! Such a lovely look! Nice colors! Thank you! I thought the colors would be perfect for spring! 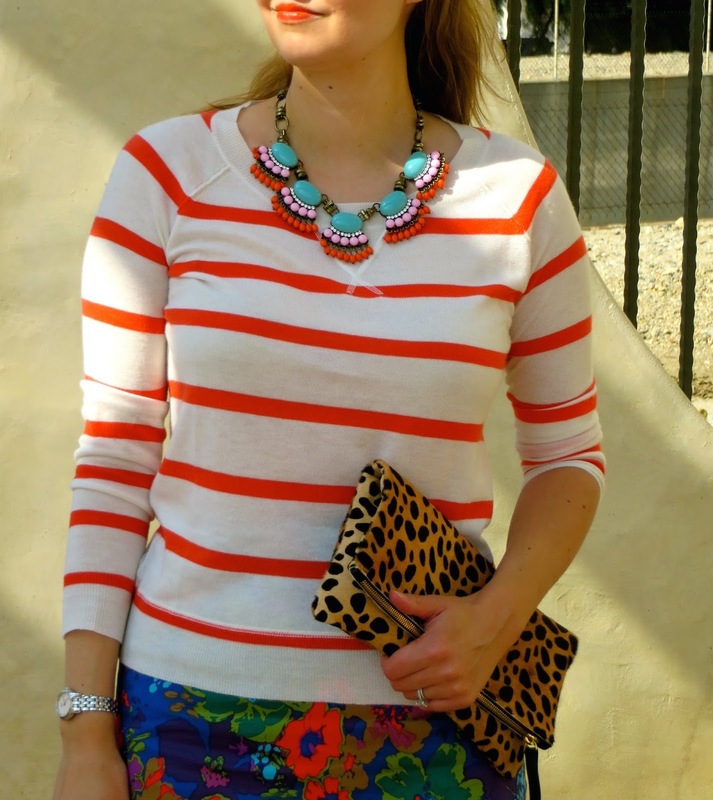 This look is so bright & springy! 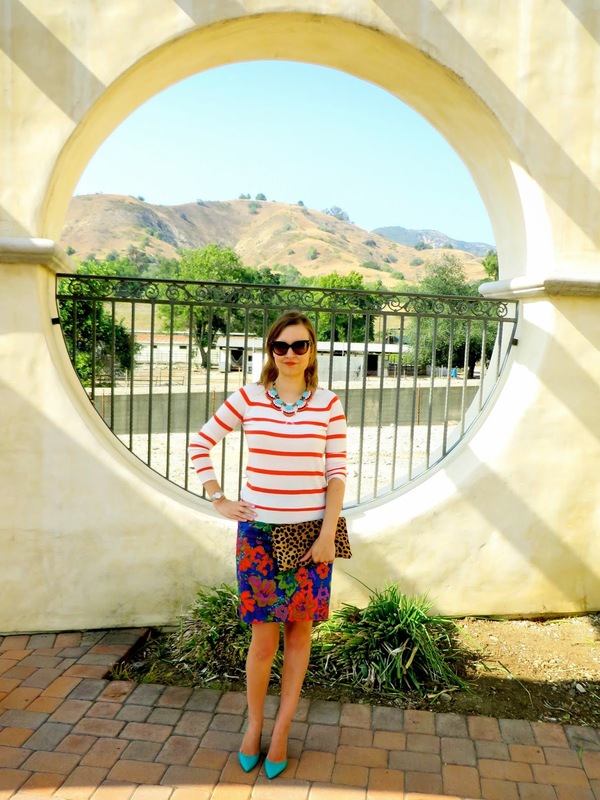 Love this pretty pattern mixing for springtime! And of course I always love a quality product on sale for a good price! 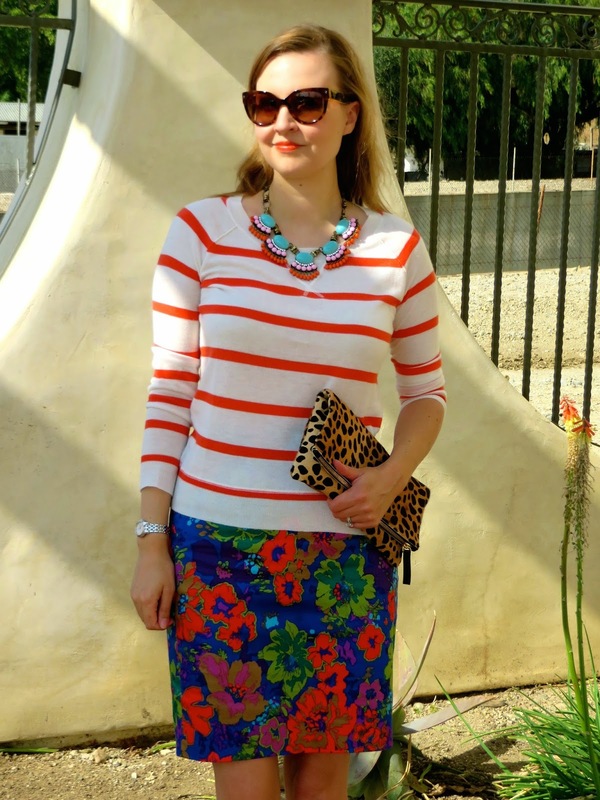 Thanks so much for sharing with Fun Fashion Friday and have a great weekend! I always love getting a bargain! I hope you had a fantastic weekend! They have a store I think at Fashion Island but I have never gone to it because I knew their tees were out of the price range that I would be willing to pay so no reason to go in. I am sure the quality is worth the price, glad you found it on sale even if it wasn't on super sale. I didn't know that they had a store in Fashion Island. I also wouldn't shop there due to the high prices. Sometimes outlets like Off Fifth have great deals on their tees. Thank you! 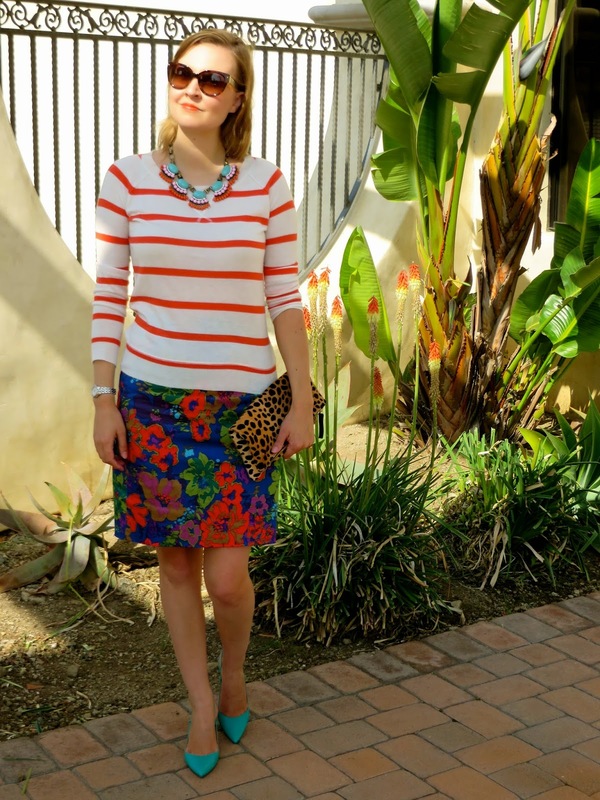 The skirt is a few years old but I get a lot of use out of it. Hope you also had a great weekend!